These days, it seems like everyone has attention deficit disorder. If your message can’t be expressed in super sonic speed, no one will pay attention. 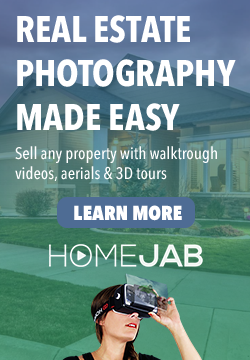 For this reason, HomeJab offers real estate video teasers that are designed to quickly get to the point and sell the key features of the home in a short amount of time. This type of advertising is ideal for social media platforms like Facebook & Instagram where demand for video content is exploding. For example, on Facebook, video posts have increased by over 100% annually in the U.S. and currently generate 8 billion daily video views. The problem is, after 30 seconds, 33% of viewers click away and more than half are gone after 60 seconds. Check out examples below of HomeJab’s real estate video teasers and experience online marketing done right…and fast. HomeJab’s real estate video teasers can be added to any order. First, choose a package here and click “Buy Now”. Next, you will be taken to our scheduling form where you can write “Add Teaser Video” in to the Additional Information section of the order form. A cost of $80 will be added to your order. If you just want the teaser video without a full length version, please write these instructions into the form and there will be no additional cost. Included with all HomeJab real estate videos is a free property landing page. It’s mobile-friendly, easy to edit, and you get branded and unbranded versions with lead capture forms & analytics. Check out HomeJab’s free property page for real estate agents. Great tip! Always looking for ways to get more video done for my listings and other parts of the business. We’re here for all your video needs!